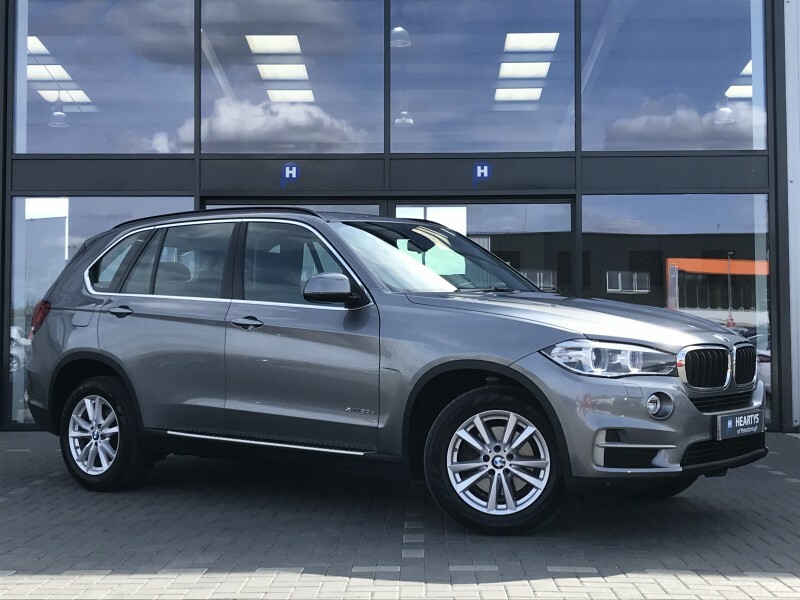 BUY THIS FANTASTIC AND EXTREMELY HIGH SPEC BMW X5 XDRIVE 30D SE AUTO FINISHED IN SPACE GREY WITH FULL ELECTRIC HEATED BLACK DAKOTA LEATHER SEATING. 1 KEEPER FROM NEW WITH A FULL BMW MAIN DEALER SERVICE HISTORY 4 X SERVICES AND JUST BEEN SERVICED @ 66,387 MILES. PRO-NAV, CONNECTED DRIVE, CALL NOW!! HEARTYS OF PETERBOROUGH, A FAMILY RUN BUSINESS BASED IN PETERBOROUGH ESTABLISHED IN 1968, WITH ALL OF OUR CARS HPI CLEAR, AND INDIVIDUALLY SOURCED, WITH SERVICE HISTORY, AND FANTASTIC FEATURES SUCH AS... (FULL BMW MAIN DEALER SERVICE HISTORY WITH 4 X STAMPS IN THE BOOK, LAST SERVICED ON THE 24/7/18 @ 66,387 MILES) FLEXIBLE FINANCE DEALS AVAILABLE - ....GREAT PART EXCHANGE DEALS AVAILABLE.....CALL NOW FOR DETAILS... ALL CARS COME WITH A COMPREHENSIVE 3 MONTH WARRANTY - VISIT OUR WEBSITE FOR OVER 250 VEHICLES IN STOCK - www.heartysofpeterborough.co.uk NO ADMIN FEES!! BMW X5 xDrive30d SE 3L 5dr.